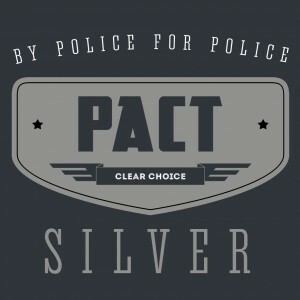 PACT Expert will assist you. AS an Assessment Center test administrator and assessor, Chief Donovan realized that most candidates he evaluated were underprepared and overwhelmed by the Assessment Center testing process. If you think about it, this is perfectly understandable. You are going to be asked to reason, write, speak, partake in role-play scenarios and otherwise competently perform at a rank or position higher than the one you presently hold. And you must do it in front of an intimidating cast of high ranking current or former law enforcement officers. It is virtually impossible to do that naturally unless you are thoroughly prepared. IN recognition of this, Chief Donovan personally tutored hundreds of candidates prior to their Assessment Center tests offering them actual exercises, preferred responses and coaching tips on performance under “game day” stress. He also taught them what to expect, what to do, what to say and what not to say. Only a celebrated police officer with decades of police experience can provide that level of insight. His trainees consistently “topped the test” but his reach was limited to those candidates who could manage to take days off from work and were located within the geographic area where his seminars were held. 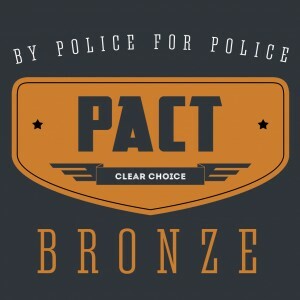 AS a result, Chief Donovan established PoliceAssessmentCenterTraining.com [PACT] for the express purpose of broadening his scope to those motivated to excel yet were unable to attend one of his training seminars. On this site you will have access to Chief Donovan’s actual seminar training materials which you can customize to suit your needs, accommodate your schedule and meet your budget. Most importantly, depending upon which package you choose, you will have the opportunity to be coached one-on-one by Chief Donovan or another PACT Expert in the areas where you need additional training or explanation.  Unlike most other training sources, PACT is “By Police for Police”. Chief Donovan retired at the pinnacle of achievement in 2010 as Chief of Police for the Town of Tewksbury, MA after 38 years’ experience in law enforcement. Since then Chief Donovan, through his company APD Management Inc., has trained thousands of police officers on topics such as Internal Affairs, Use of Force, Supervisor Liability, Performance Reviews, Accountability & Discipline and Assessment Center test preparation. Chief Donovan is also a principal of Integrity Testing, LLC which administers Assessment Center tests and evaluates participants on behalf of numerous police departments in New England. Chief Donovan’s multi-day seminar on Assessment Center test preparation is considered throughout Massachusetts as the gold standard for candidates seeking promotion based on Assessment Center test performance. Chief Donovan’s students consistently perform well above their peers landing in the top tier of candidates with many becoming the “clear choice” as the most desirable candidate for promotion. Chief Donovan’s many years in law enforcement, success as an instructor and experience as a drafter, administrator and evaluator of Assessment Center tests makes him the most qualified Assessment Center coach/trainer anywhere offering such services. Choose up to FIVE (5) test subjects (oral & written) to learn. Customize your training for the specific test you will be taking. Live one-on-one Skype™ coaching with Chief Donovan* or another PACT Expert at a time that is convenient for you. May be completed over multiple sessions. An Assessment Center test training guide (2nd Ed, 2017) written by Chief Donovan and Workbook customized for your test is included. Preferred responses to exercises supplied on actual Assessment Center test Evaluation Forms so you learn how Assessors think. $500 – $1,150 via PayPal or any major credit card. Click to see pricing. $250 – $400 via PayPal or any major credit card. Click to see pricing. Practice and review actual test questions and answers which are provided based upon the rank for which you are testing. $169 via PayPal or any major credit card. How much will your GOLD Package cost me? The cost of the GOLD Package depends upon two things: (1) The number of exercises you wish to study and (2) The number of one-on-one Skype coaching hours you choose. For example, as you can see from the chart below (click image to enlarge), four (4) exercises with two (2) hours of Skype coaching will cost $900. Two (2) exercises with three (3) hours of Skype will cost $700, etc. When you checkout the total in your Cart will be calculated automatically based upon the number of exercises and the number of hours of personal Skype training selected. How much will your SILVER Package cost me? Unlike our GOLD Package, our SILVER Package does not offer one-on-one Skype coaching. Instead, your work is reviewed by us and you will receive feedback in the form of a written critique. Thus, the price of the particular SILVER Package you choose depends entirely upon the number of exercises you wish to study. The chart below, therefore, is very straightforward. What happens after I place my order for a GOLD or SILVER Package? After placing your order you will receive a “Welcome” email from us telling you what to do next. You will also likely receive a phone call from someone here at PACT asking a few questions about your upcoming test. Bottom line is that any questions you may have about the process will be answered to your satisfaction or your fee will be refunded 100%. Can I spread my GOLD Package coaching hours over more than one session? Yes. You can schedule your GOLD Package coaching sessions in minimum increments of one hour. So, for example, if you signed up for a GOLD Package with 3 hours of coaching you could schedule up to 3 separate Skype sessions. Can I use my iPhone for coaching instead of Skype? Yes. You can use the FaceTime app on your iPhone if you prefer but, frankly, the experience is not as good as with Skype. 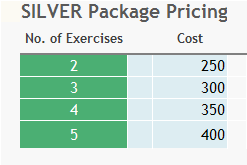 If I purchase a SILVER Package how are my oral exercises reviewed? You will use your smartphone to record your responses to the oral exercises and upload the video to us. Your SILVER Package “Welcome” email will explain how this is done. What do I need on my end to Skype with you? You need a broadband connection, a laptop computer (or a desktop computer with a video monitor or, alternatively, a tablet), a webcam and Skype software. Your GOLD Package “Welcome” email will explain how to set up your coaching session. Can Chief Donovan coach me? Yes! Except in certain unique circumstances. As mentioned, Chief Donovan is affiliated with a company that provides Assessment Center tests to various police departments in Massachusetts. If Chief Donovan’s company happens to be the vendor administering the test you are taking he will not be able to personally coach you. 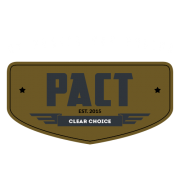 We have, however, other expert trainers here at PACT (all with exemplary law enforcement backgrounds) who can expertly and objectively train you for your test. What are "actual Evaluation Forms"? These are the forms used by Assessors evaluating candidates in actual Assessment Center tests. We believe is it helpful to see exactly how you would have scored had your response been given in a real Assessment Center test setting. What do you mean by a "Customized Workbook"? We don’t want you wasting time on exercises you are not likely to see on your test. So, as part of the checkout process you will be asked what rank you are testing for (Captain, Chief, etc.) and we will custom make your workbook so it focuses on the competencies you are likely to be tested on. What do you mean by "Preferred Responses"? We know what the people evaluating you are looking for in a response. That’s because we are assessors ourselves and have graded many candidates over many years. We will provide you with detailed preferred responses (complete with “buzzwords”) for every exercise we give you. We will also tell you what not to say or write in your response in order to become the “clear choice”.